It has been a couple of days since a new date was tossed into the Galaxy Nexus on Verizon fiasco, so let’s go ahead and add to it. Does December 11 work for anyone? It’s later than the December 8 date that we have reported on a number of times now, but at least it is not two or three weeks later. 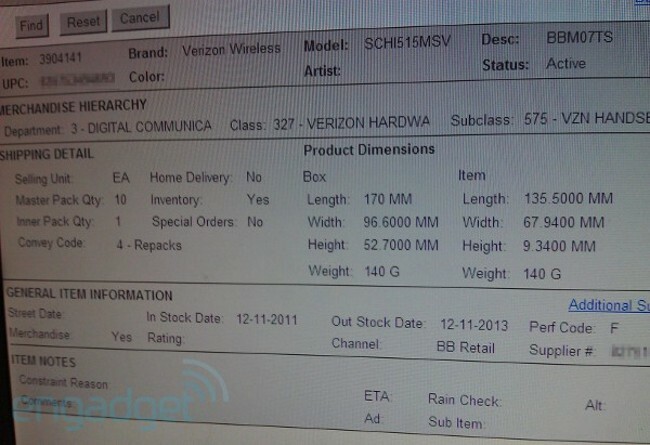 According to a Best Buy inventory system, they are expecting the device to be in stock on the 11th. Could it happen? Sure, why not. Anything is possible at this point. Just remember that when the Thunderbolt was on the verge of release, we saw these BBY systems change on the daily. Not a lot of official word to go on these days, so take it for what it is – a potential date.